July 24, 2014 By Eugene Nielsen & filed under Against All Odds, All Articles, More…. A Non-Permissive Environment (NPE) can mean many things. For the purposes of this article, NPEs are those environments in which the carrying of firearms or other weapons is either prohibited or restricted by law or policy. There is an element of society that believes we will be safer if the carrying of firearms in specific areas is prohibited. The illogic of a “gun free” zone is that people intent on violence will not follow laws. This is borne out by the facts. For example, most mass shootings take place in areas where firearms are banned. A 1999 study by John Lott of the University of Maryland and William Landes of the University of Chicago concluded that the “only policy factor to influence multiple victim public shootings is the passage of concealed handgun laws.” This should not be at all surprising. Galco® Pocket Magazine Carrier features hooked shape and rough-out texture to retain carrier in pocket on draw. It’s an excellent low-profile way to carry a spare magazine. Preparedness begins with situational awareness. It’s one of the key building blocks to personal security, and is more of a mindset than a hard skill. Be aware of your surroundings and identify potential threats. Recognize early warning signals. If something or someone doesn’t seem quite right, they probably aren’t. Go with your instinct. Gut feelings are right more often than not. Be prepared to respond. No one at S.W.A.T. is encouraging you to break any laws. Nevertheless, there may be situations where it is prudent to carry a firearm in areas where it’s otherwise restricted. It’s a decision that’s not to be taken lightly and should be based on the level of risk versus benefit. Only you can make that decision. You have only one life. If you decide to carry in an NPE, it’s important to remain as low profile as possible. Fit into your environment. Don’t do or wear anything that would draw unwanted attention to yourself or the fact that you may be armed. Needs and circumstances vary. No single holster will work for every situation. 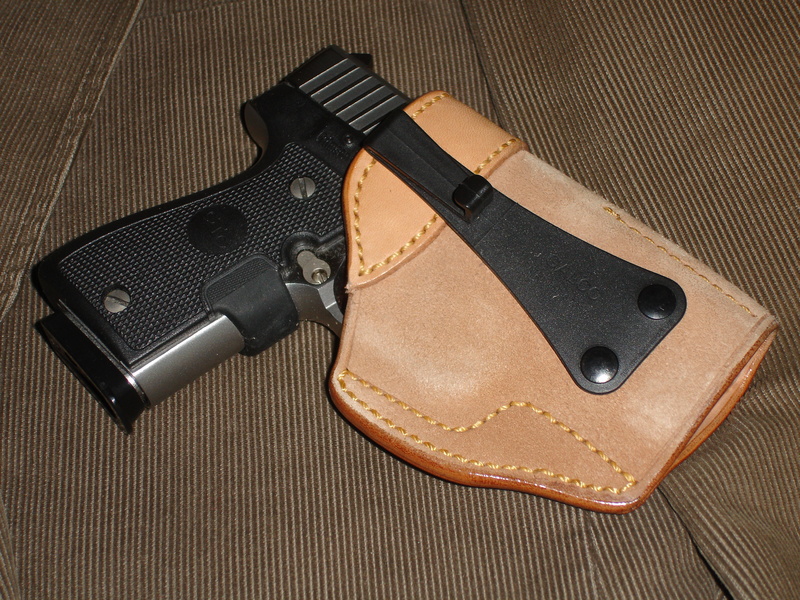 That said, an inside-the-waistband (IWB) holster is generally the most effective way to carry in low-profile mode. The Galco® UDC™ (Ultra Deep Cover™) holster with Galco’s patented Generation III tuckable J-Hook has worked well for me. Although I am normally not a fan of J-Hooks, the streamlined Gen III J-Hook has proven to be both stable and secure. 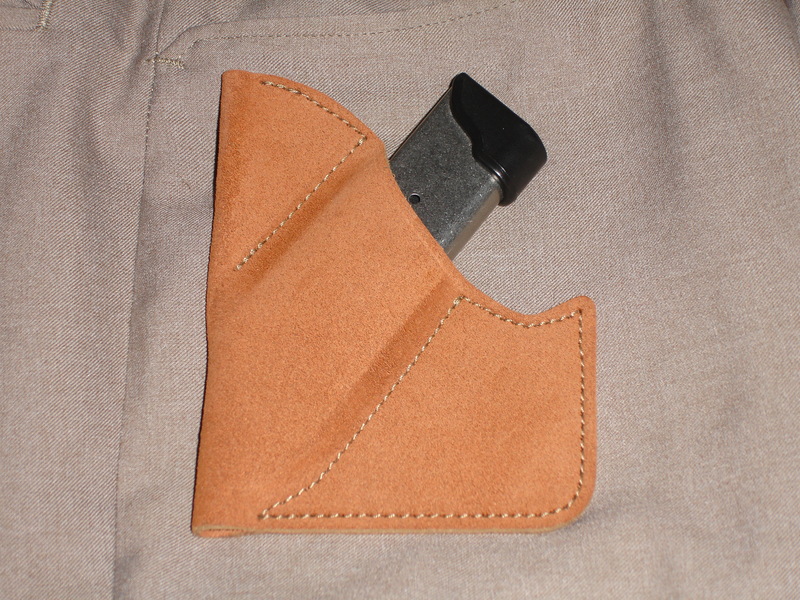 The UDC is made from horsehide with the rough leather side out and has sewn-in sight rails and a metal reinforced mouth for ease in reholstering. I have found it to be an outstanding holster for my needs, especially when concealability is paramount, such as a business environment where untucked shirts are not an option and a coat or jacket will not be worn or be removed. Galco’s Pocket Magazine Carrier™ (PMC) is a good low-profile choice to carry a spare magazine. It has a hooked shape and rough-out texture to retain the carrier on draw. It keeps the magazine in the same position, conceals its shape, and allows for a clean draw. Compact SureFire E2D LED Defender Ultra provides 500-lumen and five-lumen dual-output and enhanced defensive capabilities. It’s always good to have a weapon available should a conflict occur. While you may be prevented from having a firearm, knife or other weapons, that doesn’t mean you can’t have any weapons. Using improvised weapons—objects that were not designed to be used as weapons but can be—can prevent the need to carry a firearm or knife. They also offer the advantage of surprise to a would-be assailant. An improvised weapon needs to be both benign and effective. A person should be able to carry it without drawing attention to the fact that it may be employed as a weapon. It needs to be better than an unarmed option. Not all items that have been recommended as improvised weapons are effective fighting tools. IWB holsters such as Galco® Ultra Deep Cover™ holster are among the most effective means to carry a handgun in low-profile mode, essential in an NPE. UDC features Galco’s patented Generation III nylon belt hook, the J-Hook. 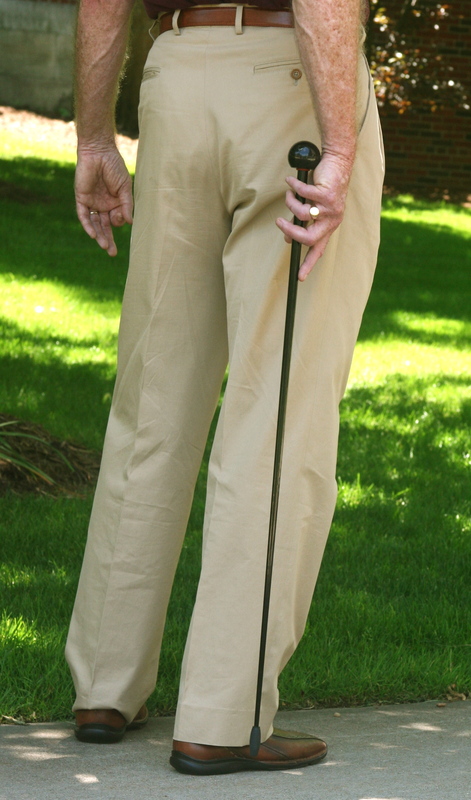 Next to a firearm, a good walking stick is one of the best self-defense items you can carry. Permissible to carry anywhere, it is an effective fighting tool in the hands of a trained individual. In the 1800s, the French developed the walking stick into a formidable self-defense tool. Known as la canne, it was adopted into the traditional savate training halls of the period. The system of la canne was developed to its zenith by Pierre Vigny in the late 1800s and is best described as a mixture of several indigenous European fighting methods. The legendary W.E. Fairbairn also considered a stick or cane to be an ideal fighting instrument. Methods of attack were included in his All-In Fighting and Get Tough (technique #25) and taught to British Commandos and Special Operations Executive (SOE) personnel in World War II. While a number of excellent walking sticks and canes can serve as effective fighting tools, I especially like BlackSwift™ walking sticks. Much of the inspiration for their stick design came from la canne and the writings of E.W. Barton-Wright. Having a BlackSwift walking stick in your hands has been likened to having an already deployed expandable baton. It’s an apt description, although the 36-inch length of BlackSwift walking sticks gives you greater reach. Designed for both walking and self-defense, BlackSwift walking sticks are elegant, lightweight, exceptionally strong, and very low-profile. Considerable thought obviously went into their design. They don’t look out of place in the hands of an able-bodied man or woman. BlackSwift walking sticks are available in two models: the original BlackSwift, which offers unrivaled lightness and hits fast and hard, and the Raven, which has greater mass for even more impact power. Both are excellent choices. I own a Raven. The workmanship and materials are outstanding. The BlackSwift features a carbon-fiber shaft, and the Raven’s is solid fiberglass. Both models are available with either a polymer or hardwood handle. They pass TSA muster and are great for airline flights. Remember the character John Steed in the original Avengers television series? An umbrella can be employed for self-defense in the same manner as a walking stick and can be just as effective. Unfortunately, most umbrellas will not stand up to the impact. One that will, and is designed for defensive applications, is the Unbreakable® Umbrella from Real Self-Defense. 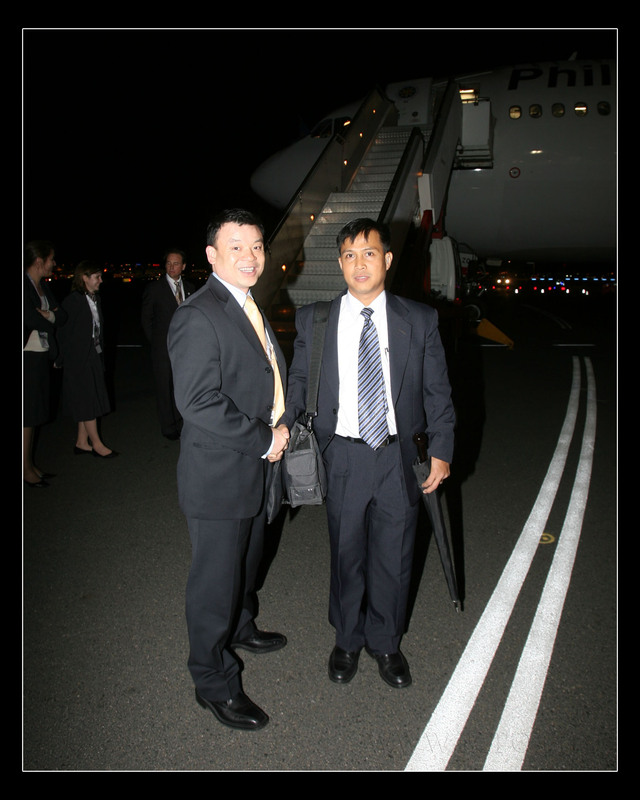 It’s carried by members of the Philippines Presidential Security Group, among others. According to Real Self-Defense, the Unbreakable Umbrella is “as strong as steel.” While I can’t personally attest to this, I can state that it withstood some pretty hard whacks on a baton training dummy without any damage, as did the Raven walking stick. And yes, it’s also an outstanding umbrella for protection from the rain. It’s available in three basic models: Unbreakable Telescopic Umbrella, Standard Unbreakable Walking Stick Umbrella, and Premium Unbreakable Walking Stick Umbrella. The differences between Standard and Premium models are mainly in size and weight. Standard and Premium models are available with your choice of either a crooked polymer or straight wood handle. The Unbreakable Umbrella also passes TSA muster. Another everyday object that can serve as an effective fighting tool is a pen. Not only is a pen necessary as a writing instrument, it also provides a level of comfort as a potential improvised self-defense weapon, and is an excellent option as a personal carry-on item when traveling by airplane. Although standard pens can be employed for self-defense, most lack the ruggedness needed to stand up to impact when used for self-defense. Today, everyone is coming out with tactical pens, many of which are obviously designed primarily as weapons, are hardly low-profile, and as such should be avoided when traveling in weapon-restricted areas. 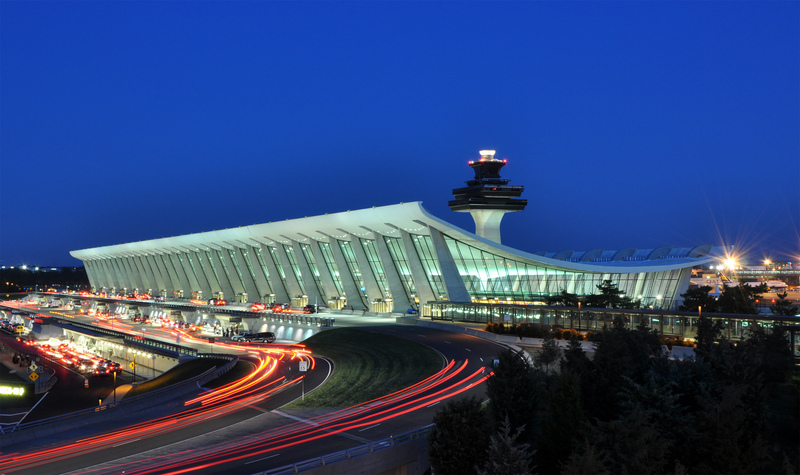 A “Workforce Stories” article on the TSA website talks about a traveler who was issued a criminal summons for carrying a concealed weapon when he tried to board a flight at Palm Beach International Airport carrying a “tactical pen” in his backpack. To quote the TSA article, “When is a pen not just a pen? The answer is when it doubles as a potential weapon.” While any pen can obviously double as a potential weapon, what the TSA is apparently referring to are pens purposely designed to double as weapons. SureFire® EWP-series pens are excellent options. Not only are they outstanding writing tools, but their solid machined aerospace-grade aluminum construction makes them exceptionally rugged. Although not designed as weapons, the tough construction of SureFire pens means they make solid improvised weapons. They’re not inexpensive, but their pricing is in line with other fine writing instruments. My personal favorite is the EWP-01, which features a sculpted tailcap with rounded window breaker for emergency use. A good flashlight is an essential tool. SureFire® flashlights are everything I want in a tactical flashlight. They’re compact, rugged, powerful and efficient, with a perfectly formed beam with no defects or artifacts. Other excellent flashlights exist, but I can always count on a SureFire when the chips are down. SureFire recently provided me with the new E2D LED Defender® Ultra. Powered by two lithium 123A batteries, this compact flashlight has two output levels— a whopping 500 lumens high for maximum light, and five lumens low for an ultra-long extended runtime for navigating or performing close-up tasks. SureFire flashlights are known for their superb beams. The E2D Defender® Ultra is no exception. It has a Total Internal Reflection lens that produces a tight beam with enough surrounding light for peripheral vision. 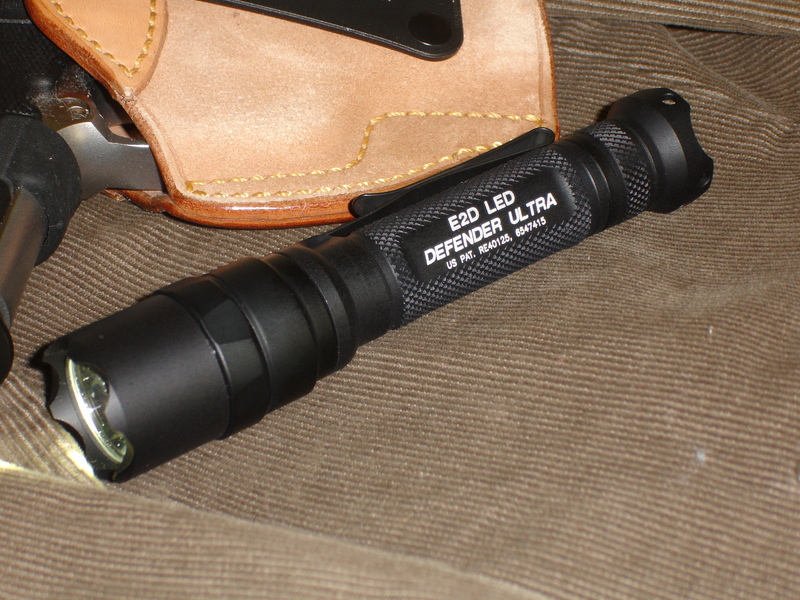 As with any similar-sized flashlight, the E2D LED Defender Ultra can be employed using yawara or Kubotan® techniques. A crenellated Strike Bezel provides an enhanced personal defense option. I am not aware of any issues with this light and the TSA. It’s been treated like any other flashlight. While I would prefer a single-output momentary push-button switch on a flashlight to be employed for tactical applications, the dual-output click switch on the E2D LED Defender Ultra is more versatile for daily chores and can easily be employed tactically when needed. These are only a few of the items that can be carried in NPEs and serve as personal defense weapons. Potential improvised weapons are all around us and include sports equipment, objects made of glass, tools, construction materials, natural objects, and vehicles. Always be aware of items in your vicinity that you can call into defensive action if needed.